Draped with dazzling lights, delicate florals, and ample greenery, Cayte and Trey’s whimsical rustic wedding by Jennifer Laura Design was nothing short of a dream! Mustard Seed Photography captured the magical early evening light of the ceremony, reception and special moments of the couple and their wedding party in between. 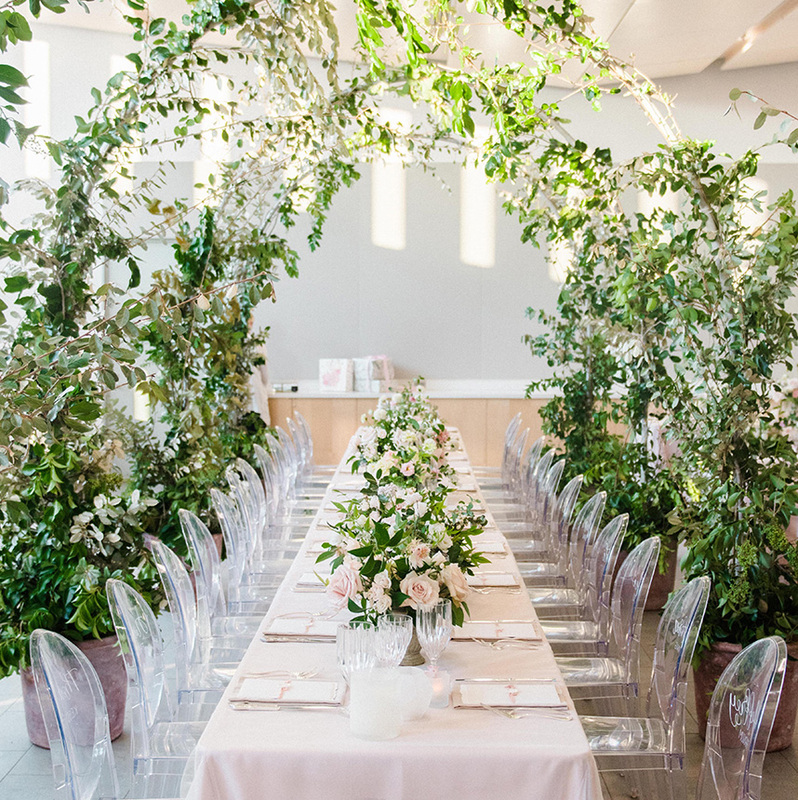 With The Carriage House as their reception venue, Jennifer Laura Design helped to transform the space into an elegant affair with cross-ceiling draping and dahlia and rose-covered greenery and arches from Without Wax, Katy. The soft pink florals spilled over to table arrangements, cake embellishments, and even wall decor to create a soft and sweet whimsical rustic wedding setting. Guests were treated to a delightful dinner followed by seemingly endless treats at the dessert and cake table created by Buttercup Bakery. 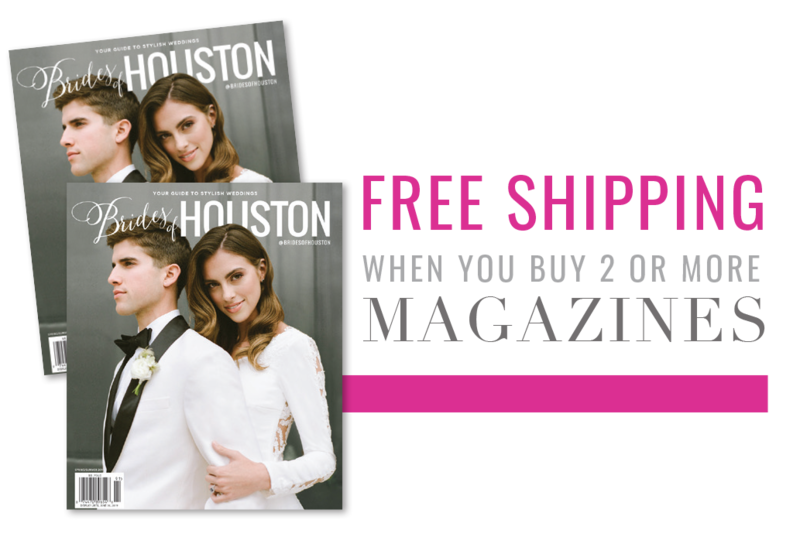 We can’t get enough of this new couple’s sweet celebration! 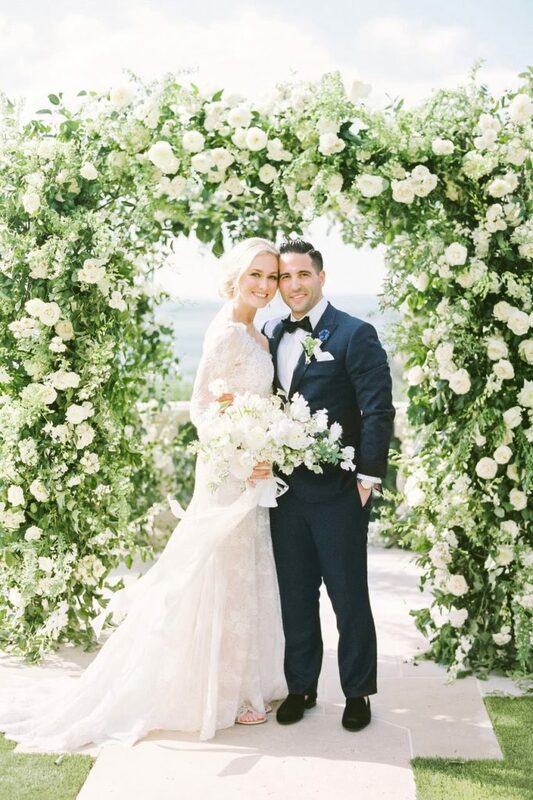 From the bride: “Our wedding day was nothing short of perfect. We began with our ceremony at The Woodlands United Methodist Church. My favorite part of the ceremony was our incredible musicians, The Homestead, who played all of our music. Several of the members are close friends from our church and they managed to make the ceremony so magical. I got goosebumps as I walked down the aisle and all of our guests commented on how amazing our music was. They definitely helped to set the overall tone for our wedding. After the ceremony, we bussed our guests over to The Carriage House in Conroe for the reception. I was in love with the venue already, but seeing it transformed for our wedding was breathtaking. We had greenery and flowers throughout, and also added draping to the ceiling to add an element of elegance and whimsy. Once we got the reception venue, everything happened so quickly.